We want to give both new members as well as the rest of the community a chance to talk, to get to know each other and to have a real experience of how it is to work and live together – before choosing. This is why we have decided to have a trial and training period of 6 month for new members of staff (as well as for new residents), before either part make a decision if the new member of staff will stay in the community. First there is a lot of things to learn when starting as a new responsible either the houses or the workshops. It always takes time to finding your way around, getting to know the routines and get a chance to settle in and feel comfortable. It takes a lot of time and energy to get to know the residents and their special needs and ways of doing things, and to get to know the other responsible and volunteers working here, to talk with them and listen to their experiences. To give time to this is essential to building good relationships. Second of all, being part of the decision making of Estia is part of the job.  In Estia there is no official leader or director. This means a great deal of freedom and influence on the development of the community, but also a great responsibility. The staff meetings deal with the day-to-day running and planning, as well as more long term decisions in cooperation with the office staff, the administrative committee and the chairman of the board of our foundation. The decisions that need to be taken can be many different things. It can be all from planning holidays, excursions and workshops, to decide to accept new residents, members of staff or volunteers, or to deal with the sometimes difficult matters as conflicts and economic priorities. Depending on the decisions this can be hard work and take much energy, as well as extra work reading and writing suggestions or having extraordinary meetings. Third of all, to move into a community is a big decision - that takes time. As a new member of staff, you will need the time to let all these new experiences sink in, as well as the time to decide if this is a community you would enjoy being part of for a longer time. Also the rest of the staff needs time to evaluate how it would be to work and live together with the new member of staff. The new member of staff is focusing primarily in either the house or the workshop – depending on which role he/she is applying for. In this period the new member should start participating – as an observer - in the other big part of the job, the decision making of Estia.